Why do so many substance users have mental illnesses? Why are co-occurring disorders so common? We used to talk about addiction and think there were just a handful of people with that problem; we blamed them for their disorder. We now know that long before someone becomes addicted they can have serious problems in their relationships with substances. We now are talking about substance use disorders. We talked for a long time about the “seriously and persistently mentally ill” as if they were somehow different from us. We now know that mental illness is on a continuum. Those emotional problems, depression, anxiety, stress related issues, can overwhelm anyone. So far in my career as a therapist, I have worked with substance abusers. I have worked in locked psychiatric hospitals with those on an involuntary hold for wanting to kill themselves or others. I have also been able to work with adolescents in crisis. In every one of these settings, the number of clients who had both issues was large. Why do the two problems so often exist in the same person? Here are some of the reasons that both disorders so often co-exist in the same person. 1. Two issues, substance use disorders, and a mental or emotional illness are relatively common in our society. Far short of addiction there are plenty of people who attend DUI School, lose days of work or get into arguments with their spouses as a direct result of substance misuse. Most families have one or more person in them who has been so depressed or so anxious that they missed work or stopped participating in family and social activities. 2. Having a mental or emotional problem increase the risk of using and abusing substances. People who are depressed or anxious often start drinking. At first, this works but over time the alcohol makes them more depressed and when it wears off they become more anxious. The result of using substances to manage your emotions is that over time you need more and more and eventually, you develop a substance use problem. Many people in substance abuse treatment will report emotional problems including being the victim of abuse or neglect before they developed the substance abuse problems. The seriously mentally ill find the effects of smoking very soothing. They become heavy smokers. This increases the risk that they will develop health problems, end up homeless and that their lifespan will be cut short. 3. Using or abusing substances increases the risk of developing a Mental illness. Alcohol is a depressant. Not everyone who drinks becomes clinically depressed but some people do. The more you drink the more depressed you become. The more depressed you get the more you drink. This can be a rapid downward spiral. There are connections between many other abused substances and developing mental illnesses. Stimulants increase the risk of psychosis and can increase sexual behaviors. The younger you are when you begin to smoke Marijuana the more likely you are to develop certain mental health issues. 4. Substance abuse issues or mental and emotional problems results in a lifestyle where it becomes hard to get your basic needs met. Both groups have an increased risk of homelessness. They are both at risk to become alienated from family and friends. The result of these lifestyle changes is that the substance abuser is likely to become depressed, anxious or to be abused. The mentally ill person, to cope with their isolation or homelessness, may turn to alcohol or drugs to cope. What you go through with either problem increases the risk that you will develop the other disorder. 5. There are emotional consequences to entering recovery. 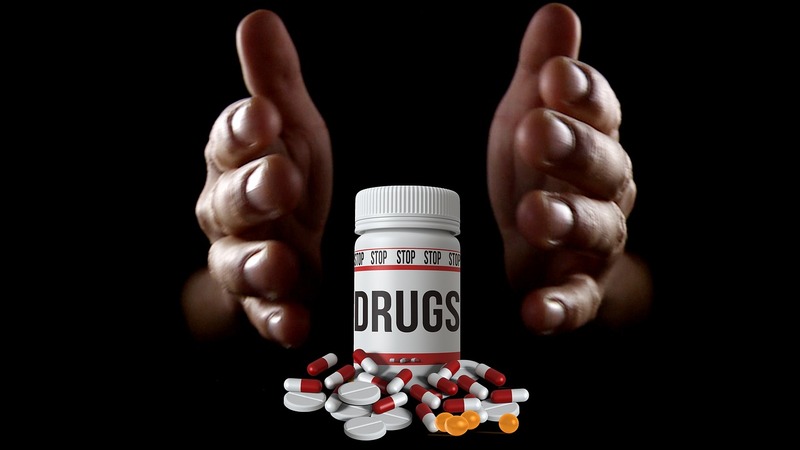 The substance abuser often gets closer to their drug of choice than to others in their life. When they stop using or abusing they have to go through a grieving process that can be just as severe as a divorce or death in the family. Users have told me that “women come and go but crystal is always there for me.” People let me down but (fill in the name of liquor here) is always waiting for me. Losing this one support can be a major obstacle in creating a new life. People in recovery very much need a new support system. Having either a substance use disorder, or a mental – emotional problem, increase the risk of having the other. It is easy to get locked in a pattern when no one is supporting your recovery and your environment is supporting you staying sick. Change can be difficult but change – recovery is very much worth the effort. This entry was posted in Drugs and Addiction, Mental Health and tagged Counseling, Depression, dual diagnosis, emotions feelings, Mental Health, Mental illness, Substance abuse by David Joel Miller. Bookmark the permalink. Reblogged this on My New Way of Life. I totally agree with this post, it took me going to a dual diagnosis rehabilitation center before I finally figured out that I can’t use drugs anymore. They took care of my mental conditions and combined it with drug rehab. My clean date is 7/6/11, and just for today it’s not changing!!! Congratulations on creating your new life. Thanks for reading and fro reblogging.